The consumer market overflows with publications on nutrition, fitness and health. The publications listed here represent resources covering a broad range of nutrition and health topics and provide reliable, timely nutrition information for personal, school, library and community use. Most are available at local libraries and bookstores. This online guide identifies and describes nearly 100 books and newsletters that provide timely and scientifically-based nutrition information you can trust. This is not a comprehensive list and inclusion does not represent endorsement by the American Dietetic Association or its Foundation. by Paul Insel, Don Ross and R. Elaine Turner. Jones and Bartlett, 2003 ISBN: 0763709107. This comprehensive book provides a detailed introduction to the science of nutrition. The material is presented in an engaging manner and includes numerous graphics and illustrations. by Jane Kirby. IDG Books, 1998. ISBN: 0764551264. Written by a registered dietitian, this book is chock-full of practical advice on how to end the confusion over battling the bulge, not by offering a magic bullet, but by providing a weight loss and exercise plan that is meant to last a lifetime. Includes tips on using healthful cooking techniques, dining out and reading food labels. Second Edition by Roberta Larson Duyff. Wiley, 2002 ISBN: 0471229245. Written by a registered dietitian in an upbeat, personal style, this comprehensive guide offers quick access to timely advice on a multitude of food and nutrition topics. Scattered throughout are "nutrition check-ups," practical tips and answers to common food and nutrition questions. The second edition includes chapters on dietary supplements, Syndrome X, childhood diabetes and food-drug interactions. by The American Dietetic Association. Wiley, 1997. ISBN: 0471347043. In this book, part of the Nutrition Now Series, registered dietitian Jean Storlie shows how snacking can be a healthful part of anyone's diet. The appendix provides calorie, fat and fiber values of snack foods. friend with an eating disorder are discussed. The Essential Guide to Nutrition and the Foods We Eat by the American Dietetic Association with Jean Pennington. HarperCollins Publishing, 1999. ISBN: 006273326X. This book provides nutrient analysis for 2,500 common foods, including brand-name packaged foods and fast foods. An introductory section covers portion sizes, eating by the Food Guide Pyramid and label reading. Using the easy-to-read tables, shoppers can compare foods for calories, fat, sodium and more. Minerals, Supplements & Vitamins: the Essential Guide by H. Winter Griffith. Fisher Books, 2000. ISBN: 1555612296. The author, an MD, has translated complicated, technical medical information into easy-to-understand terms. Learn about 22 minerals, 26 of the most popular food supplements, 14 vitamins, and 10 amino acids. The unique format of this book makes accessing the information easy, quick and enjoyable. conditions. Also included are references to key research studies and self-assessment tools. Nutrition Concepts and Controversies, Eighth Edition by Frances Sizer and Eleanor Whitney. Wadsworth, 2000. ISBN: 0534564666. Designed for nutrition students and educators, this updated textbook covers basic nutrition science, then takes it a step further by exploring beyond the boundaries of established nutrition knowledge. Graphs, charts, illustrations and pictures cover the pages of this colorful, informative book. Portion Savvy: The 30-Day Smart Plan for Eating Well by Carrie Latt Wiatt and Elizabeth Miles. Pocket Books, 2000. ISBN: 0671024175. Portion control is the key to this 30-day plan that aims to teach the secrets of controlled eating and successful food management. Included are easy-to-follow low-fat recipes and visualization and relaxation techniques. Stealth Health: How to Sneak Nutrition Painlessly into Your Diet by Evelyn Tribole. Penguin USA, 2000. ISBN: 014028205X. This book, written by a registered dietitian, helps individuals spot their nutrition problems and make changes to improve eating habits. Includes more than 100 recipes and 1,000 tips on how to eat right. All recipes include nutritional analysis and highlight key nutrients. Super Nutrition After 50 by Densie Webb and Elizabeth Ward. Publications International, Ltd., 1999. ISBN: 0785337679. This guide focuses on age-related body changes and nutrition needs. Conditions which may be delayed or prevented by eating healthfully such as cancer, heart disease, and osteoporosis are discussed. The authors, both registered dietitians, discuss 18 popular herbs, hormone replacement therapy and phytonutrients. This book is also printed in larger than usual print, so those with bifocals can read with ease. The Way To Eat Available January 2003 by David Katz and Maura Gonzalez. Source Books, 2003 ISBN: 1507719837. This book is a comprehensive guide to a lifetime of eating well in support of three goals: overall good health, weight control and enjoyment of food. Includes how to identify the common barriers to healthful eating and strategies for overcoming these barriers. Your Personality Prescription: Optimal Health Through Personality Profiling by Roberta Schwartz Wennik. Kensington Books, 1999 ISBN: 1575664011. The dietitian author presents a unique approach to customizing a healthy lifestyle based on dominant personality preference. Individuals are guided through the process of identifying strengths and using them to develop healthy eating and activity habits. by Roberta L. Duyff. Wiley, 1998. ISBN: 0471347167. Legends, traditions and myths have followed foods for centuries, from the healing qualities of chicken soup to the belief that grapefruit burns calories. Written by a registered dietitian for The American Dietetic Association, this easy-to-read guide answers common questions and dispels myths about food and nutrition. Bowes and Church's Food Values of Portions Commonly Used by Jean AT Pennington. 17th edition. Lippincott, 1998. ISBN: 0397554354. Often used as a professional resource, this book is a spiral-bound compilation of nutritional values of foods in a form that allows quick and easy reference. More than 8,100 foods are listed, including brand-name and popular fast food restaurant items. Many supplementary tables provide difficult-to-find data, such as amino acid content, vitamin E, purines and more. The Complete Book of Food Counts by Corrine T. Netzer. 5th edition. Dell, 2000. ISBN: 0440225639. 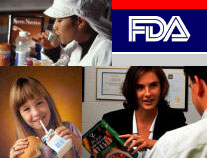 This is a large compilation of nutrient data for basic generic foods, brand-name foods and restaurant chains. Entries are listed alphabetically, with values for calories, protein, carbohydrates, fat, cholesterol, sodium and fiber. Herbs of Choice: The Therapeutic Use of Phytomedicinals by Varro E. Tyler. Haworth, 1999 ISBN: 0789001594. An internationally renowned authority presents science-based information about the therapeutic use of herbs. Completely referenced material covers data on clinical studies as well as legal and regulatory issues. Material is organized by topic, making it an easy to use reference for consumers. The New Food Lover's Tiptionary by Sharon Tyler Herbst. William Morrow, 2002 ISBN: 0060935707. This A-to-Z guide is packed with more than 6,000 tips, shortcuts and other culinary information that both experienced and novice cooks will find helpful. Answers hundreds of questions about food preparation, kitchen equipment, foods and beverages and features quick-reference charts and recipes. Wellness Foods A to Z by Sheldon Margen and editors of UC Berkeley Wellness Letter. Rebus, 2002 ISBN: 0920661702. Subtitled, "an indispensable guide for health-conscious food lovers," this book offers food entries with detailed nutrition profiles, shopping and storage tips, and preparation suggestions to take advantage of each food's key nutrients. A comprehensive vitamin and mineral guide and wellness eating strategies are also included. What Einstein Told His Cook by Robert L. Wolke. Norton Co., 2002 ISBN: 0393011836. A chemistry professor and syndicated food columnist provides over 100 reliable and witty explanations while debunking misconceptions about food and nutrition. Kitchen science is explained in plain, non-technical language along with recipes. by Susan Kosharek. 2nd edition, American Dietetic Association, 2003 ISBN: 0880913037. This newly expanded and revised version provides the latest nutrition information for helping kids from ages 4-12 with obesity. Written in an easy-to-use format, readers will find simple how-to instructions to help guide the child to change the way they eat. Covering portion sizes for children, sample menus, calculating BMI, discussing school lunches and much more. by the American Dietetic Association. Wiley, 1998. ISBN: 0471346977. Author Elizabeth Ward, RD, pulls together everything women need to know to eat right during pregnancy, including prenatal practical food tips, vegetarian food choices, how to avoid common discomforts and much more. American Academy of Pediatrics Guide to Your Child's Nutrition by William H. Dietz and Loraine Stern. American Academy of Pediatrics, 1999. ISBN: 0375501878. The authors, both pediatricians, wrote this state-of-the-art reference book for parents who need strategies to care for their children's dietary requirements from birth through adolescence. Special insights are provided for introducing solid foods, basics for toddlers, school-age children and adolescents, how to deal with outside influences and more. Child of Mine: Feeding With Love and Good Sense by Ellyn Satter. Bull Publishing, 2000. ISBN: 0923521518. Written by a registered dietitian, this is a great resource for parents on infant nutrition from birth to 2 years. The writer offers practical information and guidance about nutrition, feeding, child development and parenting. Portion sizes for different ages are included. pregnancy. Written by a registered dietitian, it includes an extensive set of recipes and menus. Food Fight: A Guide to Eating Disorders for Preteens and Their Parents by Janet Bode. Aladdin Paperbacks, 1999. ISBN: 068910865. The author summarizes many interviews that reveal various aspects of eating disorders. The first section is directed toward young readers, the second section toward adults, and the third section lists other helpful resources. Food, Fun n' Fitness: Designing Healthy Lifestyles for Our Children by Mary Friesz. Designs for Healthy Lifestyle, 2002 ISBN: 0971566208. The author, a registered dietitian, exercise physiologist and parent, offers a common-sense approach to enhancing our children's health. This book is a comprehensive, "parent-friendly" guide to teaching children good eating habits, the value of nutrition and the incorporation of fitness into daily life as a basic family value. Healthy Foods, Healthy Kids by Elizabeth Ward. Adams Media Corporation, 2002 ISBN: 1580625959. This book, written by a registered dietitian, combines professional know-how with real-life experience, offering sound, practical eating suggestions for parents of kids from birth to age 6. From breastfeeding a newborn to ensuring food safety for the entire family, this book gives practical tips and simple solutions to parents' nutrition concerns. The Nursing Mother's Companion by Kathleen Huggins. Fourth edition. Harvard Common Press, 1999. ISBN: 1558321527. This comprehensive book on breastfeeding, written by a registered nurse, guides mothers through pregnancy and the child's first year. Includes helpful photos and illustrations, an appendix with drug safety information and a supplemental reading list. Raising Happy, Healthy, Weight-wise Kids by Judy Toews and Nicole Parton. Sarasota Press, 2001 ISBN: 1553560035.Written with a sense of humor, this book will help parents guide kids towards a healthy body weight and a positive body image from infancy through the difficult teen years. It is no-nonsense, thoughtful advice on key issues related to nutrition for kids and adolescents. When You're Expecting Twins, Triplets or Quads: A Complete Resource by Barbara Luke and Tamara Eberlein. Harper Perennial, 1999. ISBN: 0060957239. The authors are a professor of obstetrics and a professor of gynecology, who's also an RD and an award-winning writer in health, parenting and psychology. This book outlines a practical, nutrition-based program to keep you and your babies healthy during pregnancy. by Merri Lou Dobler American Dietetic Association, 2003. This easy-to-read booklet is perfect for anyone with lactose intolerance. Sections include tips for label reading, recognizing lactose content of foods, meal planning, and resources such as books, recipes, special food companies and Web sites. The Gluten-Free Gourmet: Living Well Without Wheat by Bette Hagman. Owl Books, 2000 ISBN: 0805064842. This book offers delicious relief for anyone who is allergic to wheat or intolerant to gluten. A complete sourcebook on how to live healthfully with celiac disease or wheat allergy, it features new information on celiac diet, raising a celiac child, avoiding hidden glutens and eating well when traveling. Kids with Celiac Disease: A Family Guide to Raising Happy, Healthy, Gluten-Free Children by Danna Korn. Woodbine House, 2001 ISBN: 1890627216. Upbeat and user-friendly, this guide offers practical tips on navigating the gluten-free world. This book covers everything from medical issues to shopping, food preparation, menu and snack ideas, and eating out. An extensive resource section offers useful contacts for products and services. by The American Dietetic Association and the American Diabetes Association. Simon & Schuster, 1999. ISBN: 0684826607. This cookbook combines the most recent nutrition recommendations with contemporary culinary tastes. It includes more than 375 recipes with nutrient analysis and the current exchange values. The American Diabetes Association Guide to Healthy Restaurant Eating by Hope Warshaw. American Diabetes Association, 2002 ISBN: 15804152X. Written by a registered dietitian, this book is a thorough resource for those who eat in America's most popular family and chain restaurants. Includes practical tips for more than 55 eating establishments, along with servings and exchanges for more than 3,500 menu items. The Diabetes Carbohydrate and Fat Gram Guide by Lea Ann Holzmeister. American Diabetes Association and American Dietetic Association, 2000 ISBN: 1580400507. This handy reference shows how to count carbohydrate and fat grams and exchanges and why it's important. Dozens of charts list foods, serving sizes and carbohydrate, fat and exchange values for generic and brand-name products and fast foods. The Diabetes Food & Nutrition Bible: A Complete Guide to Planning, Shopping, Cooking, and Eating by Hope Warshaw and Robyn Webb. American Diabetes Association, 2001 ISBN: 158040037X. This is an all-in-one food book, a combination of nutrition guidelines, menu planner and cookbook. Readers will learn how to shop, plan nutritious meals and cook low-fat and healthy foods. This book supplies important information about eating healthier and controlling your diabetes. Month of Meals: Classic Cooking – Quick & Easy Menus for People With Diabetes The American Diabetes Association, 2002 ISBN: 1580400760. This updated third edition of the Month of Meals series features complete nutrient analysis and carbohydrate count for every meal. The easy-to-use book has a menu planner with 28 days of menus. Mix and match different breakfast, lunch and dinners to create over 20,000 menu combinations. No-Fuss Diabetes Recipes for 1 or 2 by Jackie Boucher, Marcia Hayes and Jane Stephenson, Wiley, 1999. ISBN: 0471347949. The authors are registered dietitians and diabetes educators with extensive cooking experience. It is written in easy-to-read large print and includes 125 simple to prepare recipes perfect for 1 or 2 servings. Nutrition information is given, as well as carbohydrate choices and exchanges. Available March 2003 by Leslie Bonci. Wiley, 2003 ISBN: 0471442232. One of the most important ways to self-manage gastrointestinal disorders such as gas, constipation, heartburn or irritable bowel syndrome is to choose the right foods to eat. This guide, written by a registered dietitian, teaches how to make the best, most comfortable food choices. American Heart Association Low-Salt Cookbook: A Complete Guide to Reducing Sodium and Fat in your Diet by the American Heart Association. Second edition. Crown Publishing Group, 2001 ISBN: 0812991079. For people concerned about the sodium in their diet, this book offers a variety of more than 200 low-salt and low-fat recipes, including classic favorites, dishes with a modern twist, and many foods that are hard to find in low-salt form. Use the nutritional information, the tips on how to substitute ingredients and avoid hidden sodium and recipes to meet your dietary goals and eat with style. The Dash Diet for Hypertension: Lower Your Blood Pressure in 14 days Without Drugs by Thomas Moore, Njeri Karanja, Laura P. Svetkey, Mark Jenkins. Simon & Schuster, 2001 ISBN: 0743202953. The DASH (Dietary Approaches to Stop Hypertension) diet emphasizes fruits, vegetables and low-fat dairy; moderate amounts of fish, chicken and nuts; and reduces consumption of red meat and sweets. The authors are medical hypertension experts associated with Harvard and Duke medical centers who provide a science-based approach for people who want to lower their blood pressure or just eat more healthfully. A Dietitian's Cancer Story, Second edition by Diana Dyer Swan Press, 2002 ISBN: 096672383X. The author tells her story of being a three-time cancer survivor from the perspective of patient and health-care professional. This book is a combination of conventional nutrition information, as well as complimentary therapies that have worked for the author. Eat Well, Stay Well with Parkinson's Disease by Kathrynne Holden. Five Star Living, Inc., 1998 ISBN: 0966437004. Written by a dietitian who specializes in the nutrition needs unique to patients with Parkinson's, this book offers practical health tips and resources. Also included are recipes and menus designed to provide a 7:1 ratio of carbohydrates to protein, for better absorption of levodopa. The Food Allergy News Cookbook: A Collection of Recipes from Food Allergy News and Members of the Food Allergy Network by Anne Munoz-Furlong (editor), Chronimed Publishing, 1998 ISBN 0471346926. Allergy-free cooking can be challenging, stimulating and fun. This book is your comprehensive guide to understanding food allergies and learning how to eat properly. Enjoy cooking and creating tasty foods with a collection of 300 recipes. The Gourmet Renal Cookbook by Lenox Hill Hospital, 1999. Written by a dietitian and several renal patients, this book provides general nutrition guidelines and recipes for dialysis and pre-dialysis patients. Renal exchange values, phosphorus and potassium information are included with each recipe. To order, call: 212/434-3266. Tell Me What to Eat if I Have Irritable Bowel Syndrome by Elaine Magee. The Career Press, Inc, 2000 ISBN: 1564144445. This book provides an overview of the disease and discusses the link between nutrition and ISB. Readers gain a better understanding of what IBS is and what they can do to limit the impact of its symptoms. Also included are dozens of healthful recipes, plus supermarket and restaurant advice and how to incorporate changes into your everyday lifestyle. A Way of Life-Cystic Fibrosis Nutrition Handbook and Cookbook by Sherie Sondel, et al. Second edition. University of Wisconsin Hospital and Clinics, 1997. This book is written by three registered dietitians with first-hand experience in the nutritional care of cystic fibrosis patients. More than half of the manual is dedicated to menus with nutrient analyses. Call 608/263-8555 to order. Becoming Vegan by Vesanto Melina and Brenda Davis. The Book Publishing Company, 2000 ISBN:1570671036. This is a consumer-friendly guide to adopting a vegan diet and lifestyle, written by registered dietitians. The book provides practical information about healthful vegetarian eating including recipes, meals and menus. Being Vegetarian for Dummies by Suzanne Havala. Wiley, 2001 ISBN: 0764563351. This book shares practical tips for switching to a meat-free diet and for making healthful food choices, at home, at restaurants or while traveling. Written by a registered dietitian, it also discusses how to adapt your diet if you're an athlete or pregnant. The Teen's Vegetarian Cookbook by Judy Krizmanic. Viking Press, 1999. ISBN: 0140385061. This book is written as though the author were speaking directly to the reader in a lively style teens will appreciate. It covers the basic aspects of being vegetarian, with many practical tips and recipes. Endurance Sports Nutrition by Suzanne Girand Eberle. Human Kinetics, 2000. ISBN: 076001433. This book combines the latest scientific findings, sport nutrition guidance, and practical strategies for the endurance athlete. This engaging and easy-to-read book includes specific sections for marathoners, triathletes, open-water swimmers, and marathon skiing. Written by a registered dietitian specializing in sports nutrition who is an elite endurance athlete herself. Nancy Clark's Food Guide for Marathoners by Nancy Clark. Sports Nutrition Publishers, 2002 ISBN: 0971891109. This book is a guide to winning nutrition for both first-time and experienced marathoners. The author is a renowned sports nutritionist and registered dietitian who shares her advice on how to use food to help achieve your marathon goals. She combines her personal experiences and professional expertise to teach us to eat well and enhance our energy. Tips for eating well even when you are pressed for time, healthy snacks and ways to lose weight are all discussed. Power Eating: Build Muscle Boost Energy Cut Fat, Second Edition by Susan Kleiner and Maggie Greenwood-Robinson Human Kinetics, 2001 ISBN: 0736038531. Power Eating contains the latest scientific and practical advice on how to eat to build strength and power, increase energy and lose fat. A section of the book reviews the need and safety of vitamins, minerals, muscle-building products and performance herbs. This book is a comprehensive guide that will help serious athletes reach their nutritional and strength goals safely and effectively. The information that follows was accurate at the time of printing. Please contact the publishers directly for current subscription information. The following organizations offer special-format nutrition materials, such as Braille, large-print and audio books.